The Four Books (sì shū 四书) refer to The Analects of Confucius (lún yǔ 论语), The Mencius (mèng zǐ 孟子), The Great Learning (dà xué 大学) and The Doctrine of the Golden Mean (zhōng yōng 中庸). The former two are collections of sayings and teachings of Confucius (kǒng zǐ 孔子) and Mencius (mèng zǐ 孟子) as well as sayings of their disciples while the latter two are chapters in The Classic of Rites (lǐ jì 礼记). 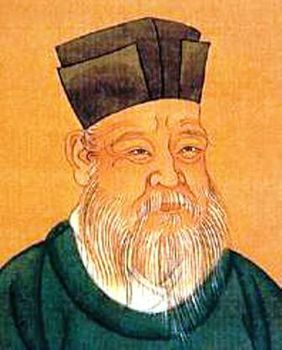 Chu His (zhū xī 朱熹), a famous scholar of the Southern Song Dynasty (nán sòng 南宋), held that The Four Books together outlined the basic system of Confucian thoughts (rú jiā sī xiǎng 儒家思想) and constituted a better introduction to the complicated materials in the Classics (jīng diǎn 经典), thus selecting these four texts from Classics and put them together as the Four Books. The Four Books is an abbreviation for 'The Books of the Four Philosophers’ because The Analects of Confucius, The Mencius, The Doctrine of the Golden Mean and The Great Learning are respectively attributed to four great Confucian philosophers, namely Confucius, Mencius, Zisi (zǐ sī 子思 the grandson of Confucius), Tsang Shan ( zēng shēn 曾参 a disciple of Confucius). In the Ming and Qing Dynasties the Four Books were made the core of the official curriculum for the civil service examinations (kē jǔ kǎo shì 科举考试), which endowed them with the superior status in China. The Great Learning was originally one chapter in Li Ji (the Records of Rites). It consists of a short main text attributed to Confucius and nine commentary chapters by Zeng Zi (zēng zǐ 曾子), one of Confucius' disciples. 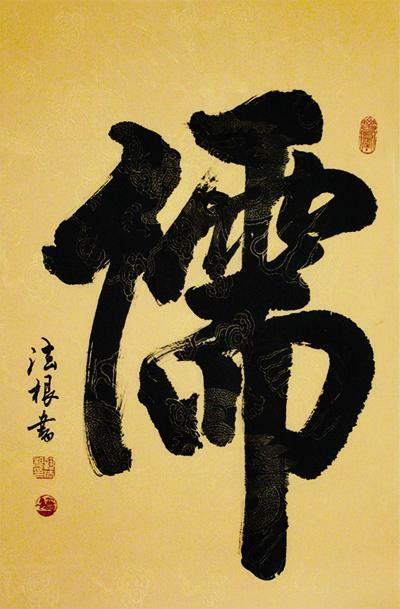 Its importance is illustrated by Zeng Zi's foreword that this is the gateway of learning. It is significant because it expresses many themes of Chinese philosophy and political thinking, and has therefore been extremely influential both in classical and modern Chinese thought. Government, self cultivation and investigation of things are linked. It links together individual action in the form of self-cultivation with higher goals such as ultimate world peace as well as linking together the spiritual and the material. 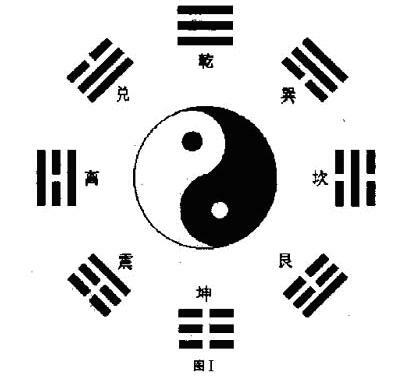 In addition, by defining the path of learning (Dao) in governmental and social terms, the Great Learning both links the spiritual with the practical, and creates a vision of Dao that is radically different from that presented by Daoism (dào jiào 道教). In particular, the Great Learning sets Confucianism (rú jiào 儒教) as being this-worldly rather than other-worldly. Finally, the Great Learning also creates a conservative political discourse. Instead of basing its authority on an external deity, the Great Learning bases its authority on the practices of ancient kings. The Doctrine of the Mean was also one chapter in Li Ji. 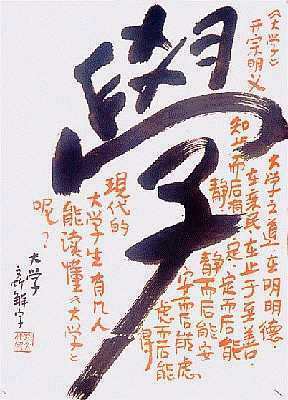 By tradition, the Doctrine of the Mean is attributed to Confucius' grandson Zisi (zǐ sī 子思). The purpose of this small, 33-chapter book is to demonstrate the usefulness of a golden way to gain perfect virtue. It focuses on the "way" that is prescribed by a heavenly mandate not only to the ruler but to everyone. To follow these heavenly instructions by learning and teaching will automatically result in a Confucian virtue. Because Heaven has laid down what is the way to perfect virtue, it is not that difficult to follow the steps of the holy rulers of old if one only knows what the right way is. 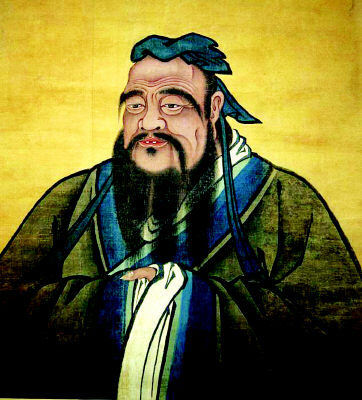 The Analects of Confucius are a record of the words and acts of the central Chinese thinker and philosopher Confucius and his disciples, as well as the discussions they held. The Chinese title literally means "discussion over Confucius' words." Written during the Spring and Autumn Period (chūn qiū shí qī 春秋时期) through the Warring States Period (zhàn guó shí qī 战国时期 ca. 479 BC - 221 BC), the Analects is the representative work of Confucianism and continues to have a tremendous influence on Chinese and East Asian thought and values today. The Mencius is a collection of conversations of the scholar Mencius with kings of his time. In contrast to the sayings of Confucius, which are short and self-contained, the Mencius consists of long dialogues with extensive prose. 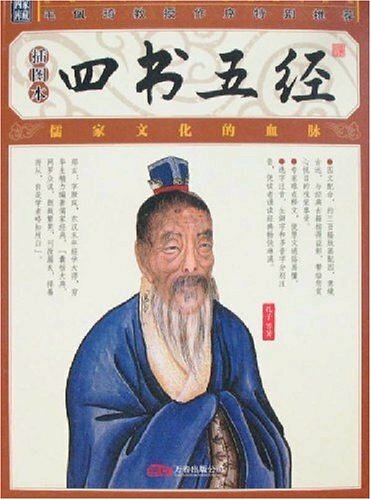 Mencius argued that human beings are born with an innate moral sense, but that society corrupted it through lack of a positive cultivating influence. Therefore, the goal of moral cultivation is to return to the people's innate morality. 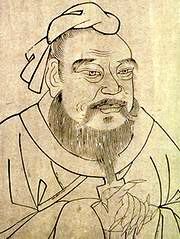 Consistent with his belief in the individual, Mencius contended that it was permissible for people to overthrow or kill a ruler who ignored the public's needs or ruled harshly. 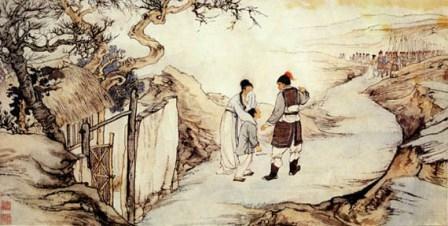 The Five Classics (wǔ jīng 五经) is a corpus of five ancient Chinese books used by Confucianism as the basis of studies. The Five Classics refer to The Book of Songs (shī jīng 诗经), The Classic of History (shū jīng 书经), The Classic of Rites, The Book of Changes (a.k.a I Ching zhōu yì 周易), and The Spring and Autumn Annals (chūn qiū 春秋), all of which are said to be compiled or revised by Confucius. The Book of Songs (a.k.a The Classic of Poetry or The Book of Odes), made up of 305 poems divided into 160 folk songs; 74 minor festal songs, traditionally sung at court festivities; 31 major festal songs, sung at more solemn court ceremonies; and 40 hymns and eulogies, sung at sacrifices to gods and ancestral spirits of the royal house. This book is traditionally credited as a compilation from Confucius. It is the earliest collection of Chinese poems and it is the source of Chinese verse and the starting point of the Chinese realistic epic. Therefore, The Book of Songs serves as the most valuable and important material in the study of the Chinese language from the 11th century to the 6th century B.C. The Classic of History is a collection of documents and speeches alleged to have been written by rulers and officials of the early Zhou period and before. It contains examples of early Chinese prose. 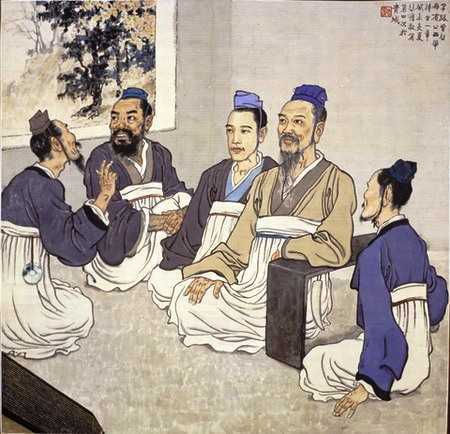 The Classic of Rites, the earliest and most complete record of social hierarchies and ceremonies in ancient China, lost in the third century B.C., describes ancient rites and court ceremonies. The Book of Changes, also referred to as Zhou Yi (Book of Changes of the Zhou Dynasty) or the I Ching, is regarded as the most preeminent among all Classics in ancient China. The spring and Autumn Annals were the official chronicles of the states during the Pre-Qin Period (xiān qín shí qī 先秦时期), however, only that of the State of Lu covering the period from 722 BC to 481 BC survived. This book was also compiled by Confucius thereby gaining extra significance and becoming a Confucian Classic. It is also the forerunner of the "chronological style" (biān nián tǐ 编年体) of historiography. 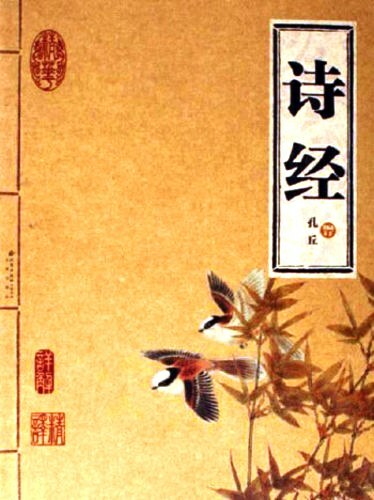 The Four Books and Five Classics (sì shū wǔ jīng 四书五经) have far-reaching influence on Chinese culture and also exert profound influence on the mentalities of Chinese people.